Six women and men with a vision to teach and train missionaries for Christian service prayed this school into existence in 1899. Now, 119 years later, Azusa Pacific is still here. 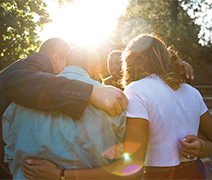 We have more programs, more activities, and more buildings, but the mission hasn’t changed: Azusa Pacific University exists to prepare difference makers to impact the world for Christ. At APU, you’ll find a transformational education experience. We’rea community of men and women who are passionate about what we do and about being a light to the world around us. Inside or outside the classroom, students apply their hearts, souls, and minds, pursuing excellence—and Christ—in all they do. They graduate ready to impact the world in classrooms, communities, hospitals, businesses, churches, and beyond. Faculty at Azusa Pacific are experts in their fields, but more than that, they are passionate teachers and mentors who pour knowledge into students. 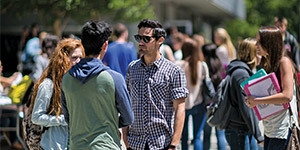 Students frequently seek the advice of their professors, discussing class assignments, brainstorming research opportunities, and exploring dreams and goals. With a 10:1 student-faculty ratio, professors get to know you. And they can’t waitto see you succeed. At Azusa Pacific, learning doesn’t just take place in the classroom. Opportunities for involvement abound on and off campus. Each one not only helps you prepare for whatyou’re going to do after you graduate, but what you can do now: research with faculty, serve in a leadership role, study abroad, volunteer in the community, go on a mission trip, play intramurals, join a club,learn skills at an internship, work on campus. In fact, in addition to academic studies, APU students contribute more than 165,000 hoursof service annually, applying their knowledge as they reach out to help communities locally, nationally, and abroad.